Philodromos. It’s a word I just created, and you may be a victim of it as am I. In the process of developing this editorial, I had to scour my rusty memory bank to find the word philately, which is the quirky term given to the hobby of stamp collecting. The origin of the word is credited to stamp collector George Herpin, who in 1860 looked to the Greeks for inspiration to create a word for the nascent hobby. Herpin combined phil(o), which means a fondness or attraction for something, with philatélie, which refers to a stamp’s tax-exempt status. The anglicized result is philately; a stamp collector is referred to as a philatelist. I got sucked into this Greek lesson because I was looking for analogs to a peculiar little hobby I dabble in, and perhaps you do, too. I’m a lover of racetracks and curvy roads and receive great pleasure from riding on new ones. Like some philatelists, I’ve gotten into my hobby quite seriously, particularly racetracks, and needed to catalog them somehow. Yup, I had ratcheted up the list of full-size racetracks I’ve ridden to 42, which seems inconceivable to someone who is failing to keep up with his actual, rapidly advancing age. 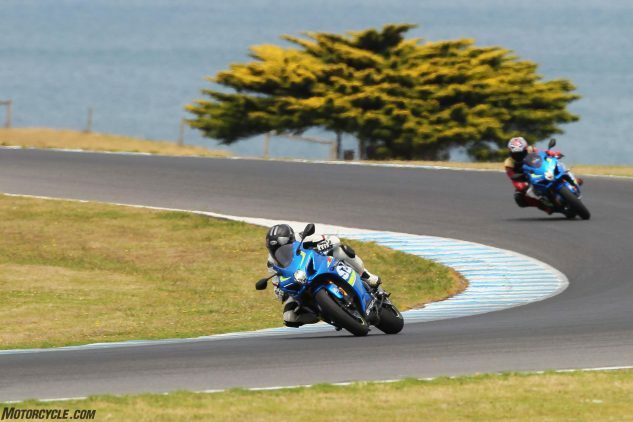 In the nearly two years since the last installment was written, I was able to bag two more racetracks, including a major one earlier this month when I accepted the invitation to ride Suzuki’s brilliant new GSX-R1000R at a circuit that’s frequently regarded as one of the best racetracks on the planet. Phillip Island, Australia. There’s probably places to pet cute little koalas nearby, but that’s not what brought me to Oz. Rather, it was this fantastically flowing and scenically captivating 2.76-mile track set along the shoreline of the Indian Ocean. Ah, summer in Australia, and I was at the fabulous Phillip Island circuit, about a two-hour drive from Melbourne. 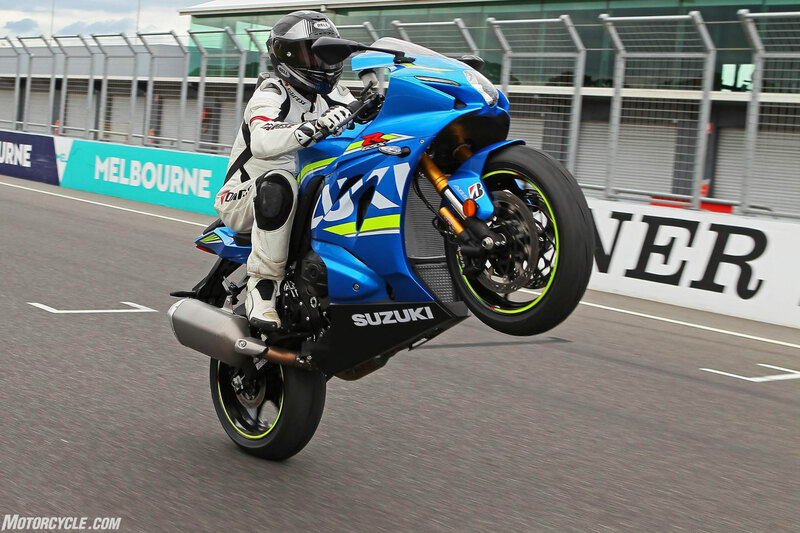 Many epic Grand Prix and World Superbike battles have taken place at this undulating track where the average speed of MotoGP bikes is more than 110 mph. It is both entertaining and challenging, and it lived up to my lofty expectations of it. Perusing the best laps logged at Phillip Island, I found it interesting to see the four-stroke 250s in Moto3 are barely quicker than the 125cc two-strokes from a decade ago. Note also the similarities in lap times between the 600cc bikes in Moto2 and World Supersport, but observe that a 250cc two-stroke GP bike from 2008 is still quicker than both. 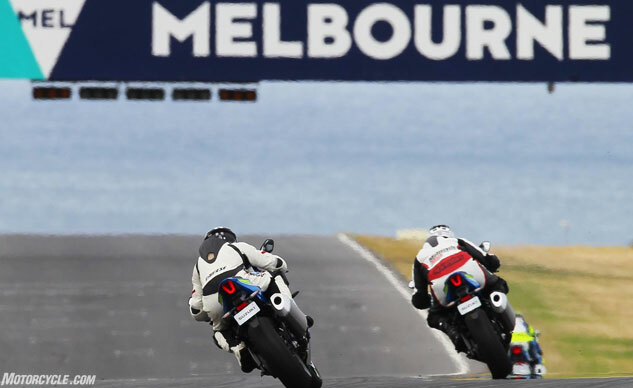 The million-dollar MotoGP prototype machines have nearly a 3-second advantage over the production-based World Superbikes. However, the Superbike is nearly 2 seconds quicker than a fire-breathing 500cc two-stroke GP bike, even if most of that gap is likely due to the additional grip from modern tires. Finally, notice that Bautista’s lap time on an Aprilia 250 was essentially identical to KRJR’s 500GP Suzuki, which is why Aprilia and Honda experimented with bikes that had fewer cylinders and/or less displacement. Okay, so I’m really into something here with my collection of racetracks, even if what I’m into is little more than a vain method of me trying to frame my life into seemingly worthwhile chunks. But what should people call riders like us who enjoy racking up and logging places we’ve ridden? That leads me to hippodromes, which were Greek stadiums used for horse and chariot racing; horse is the hippo in hippodrome, while dromos is the Greek word for course or road. So, from there it doesn’t require a peyote trip for the creativity necessary to combine philo with dromos to build the word philodromos: the love of riding on roads and tracks and logging them for posterity. Enthusiasts like us should, I suppose, be referred to as philodromists…? In the first installment of my four-part racetrack tour, I warned my fellow MO editors they shouldn’t expect to be assigned to any sportbike launches at Mugello, Brno or Phillip Island. Well, with the Aussie track now checked off, I’d better replace it with Suzuka and hope for a bike launch at one of this trio of bucket-list tracks. Oh, and while I’m at it, let’s add Spa Francorchamps! As humans, we all have dreams about achieving something a bit fanciful, something worth striving for, something that inspires us. As motorcyclists, what’s on your bucket list? G’day, Phillip Island, thanks for having me! Next I hope to say ciao to Mugello!